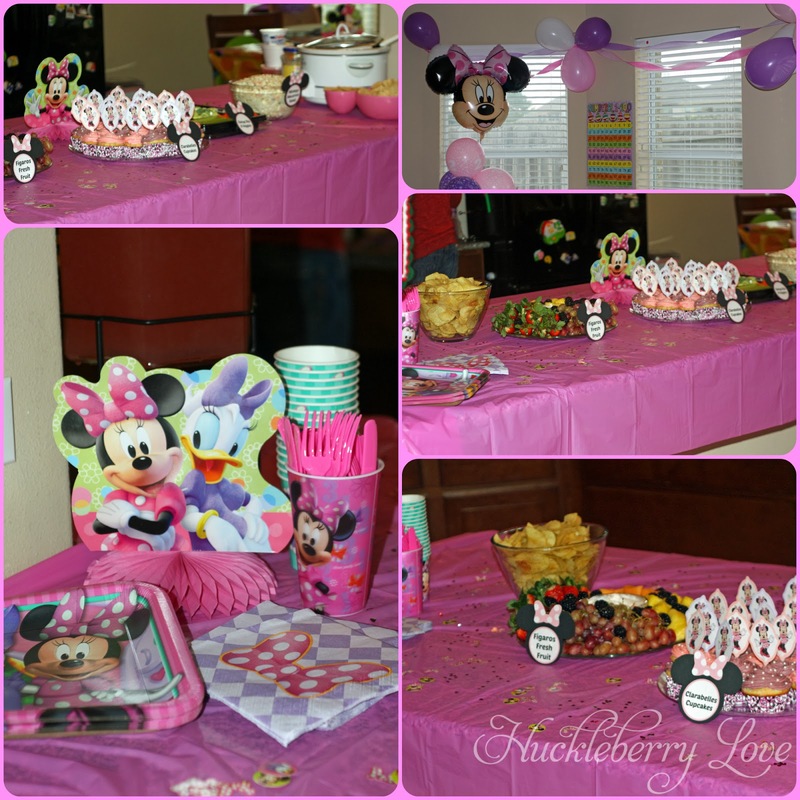 Huckleberry Love: A Minnie Mouse Birthday Party! I love throwing birthday parties for my kids. 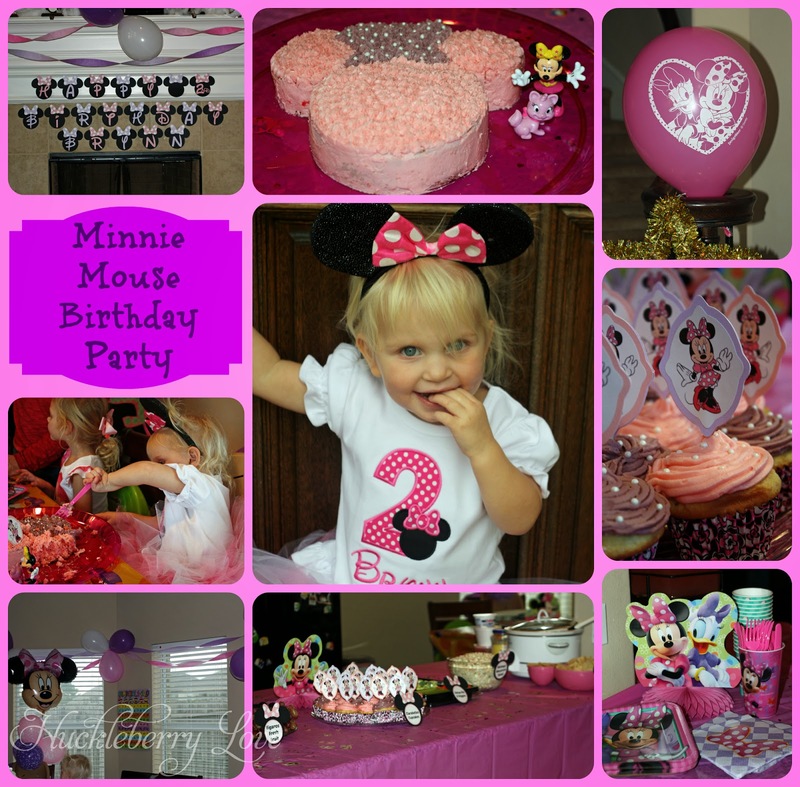 I always get really excited when their birthday's are approaching and I can ask them what theme they would like. This year Little B turned 2 and her absolute favourite thing in the world is Minnie Mouse. Once I decided that that was the theme we were going with, I couldn't wait to get started. Minnie Mouse is so girly and cute so it was really fun to do. I happen to have a Silhouette (thank god), so I decided to make a lot of the decorations; complete with cupcake toppers, banner, pin the bow on Minnie game and a welcome sign for the front door. Little B loved it!! While I was decorating for the party, she kept asking me 'dis mine?' and when I told her it was all for her she would screech and run around in excitement. It made me really happy that she could really enjoy this years party and understand that this was her very own special day. She is not normally a photo 'poser', but we managed to capture the perfect picture! 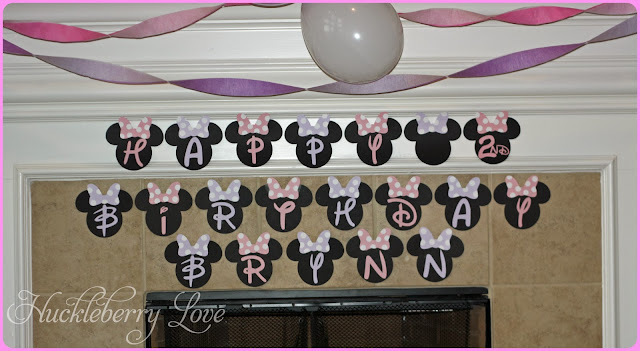 Ever since Miss J's first birthday, I have made a very special birthday banner each year for each girls special day. I love making homemade themed banners and always put most of my decorating energy into them. Hers this year, was really fun to make. 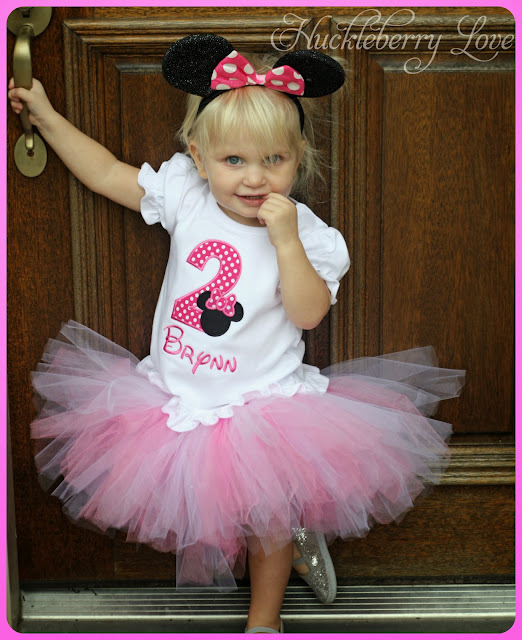 I used Mickey Mouse head shapes , found a bow I liked, attached it and then used a really cute Disney font that I found. It turned out great and Little B loved it! A party also isn't a party without some eats so we had special treats that were all dedicated to the characters of Minnie Mouse Bow-tique. 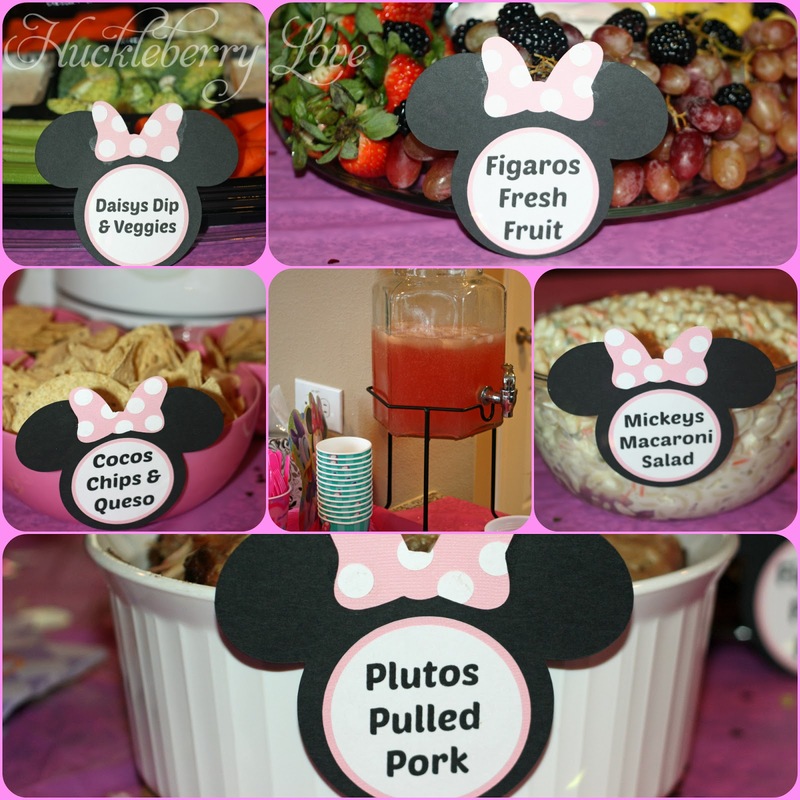 'Daisy's Dip and Veggies', 'Figaro's Fresh Fruit', 'Clarabelle's Cupcakes', 'Mickey's Macaroni Salad', 'Coco's Chips and Queso', & 'Pluto's Pulled Pork' were some of the delicious tummy fillers we featured. And on top of all of the food that already goes along with a great party, one just isn't complete without birthday cake! So, because of our chosen theme, I made her a Minnie Mouse cake (obviously) and just to have extra sweets, I decided to make cupcakes as well. Both were delicious, and I'm sure the kiddos all went home crazy on sugar (sorry mommas). I thought the cake was a bit plain after it was iced so to make it more fun, and appealing to a two year old, I added some little Minnie toys. It worked out really well, because after the cake was done, Little B had some fun toys to play with (because she hadn't received enough already ;)). Overall the party was a huge success! We played some games, opened some presents and everyone went home with full bellies and a little party favour that Little B and I put together. Definitely a very successful 2nd birthday party indeed. Love these ideas! Definite pin! Thanks so much Winnie. It was a really fun party! 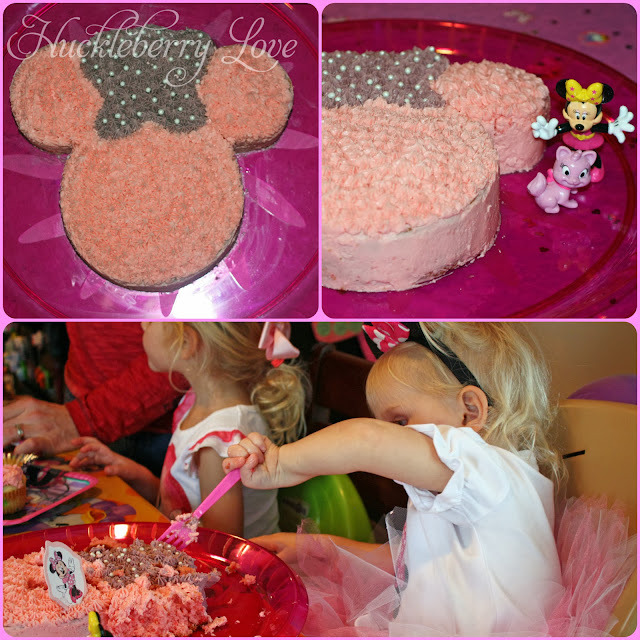 Very,very girly and my little one LOVED it!! Sooooo adorable! Thanks for linking the party ideas at Share it Sunday!! 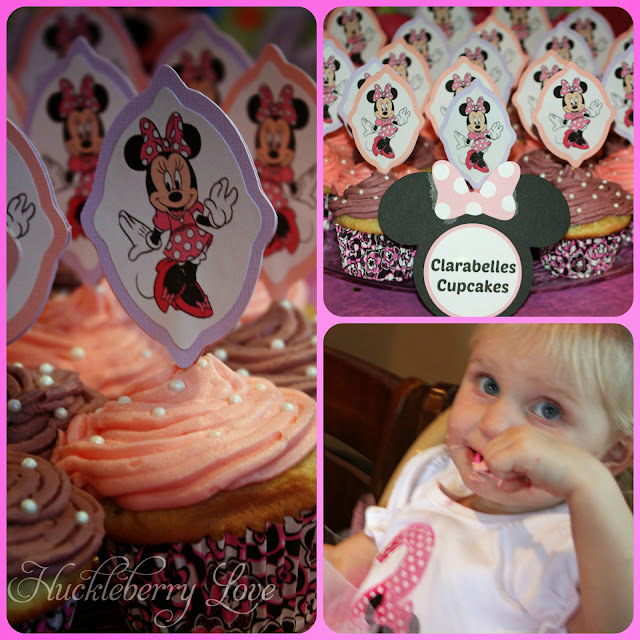 My friend's baby is turning 1 this October and a Mickey Mouse Birthday Party is on top list. The very reason why I decided to make a collection of this amazing party ideas. I hope it would be okay to list some of your ideas on my compilation? Please say yes. Nice stuffs in here and thanks for sharing.